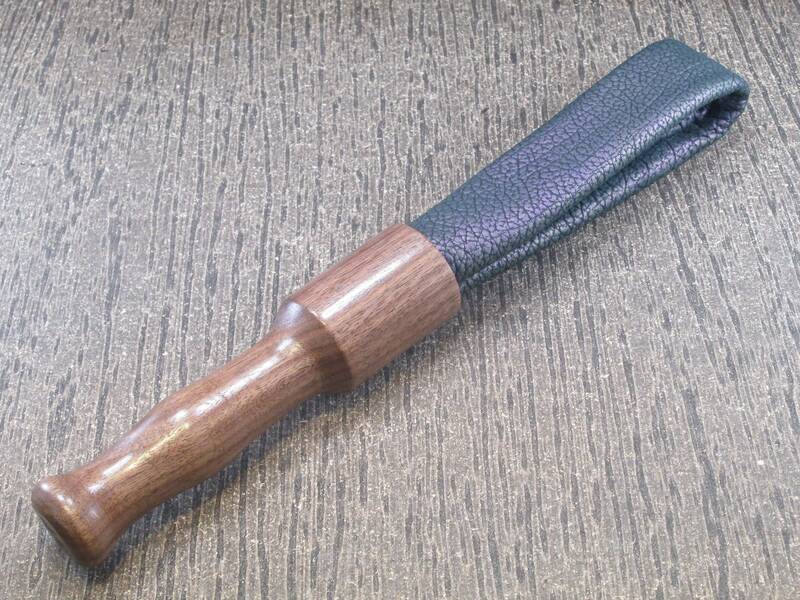 Beautiful Handmade Pebbled Purple Reign Leather Thumper with a Hand Turned Walnut Handle! This is a unique and very popular toy for us! It is called a thumper because obviously is packs a good thump. But in a good way of course. This can be used on yourself or have someone else use it on you. It's wonderful! This would make a great item for anyone's toy bag! It's approximately 16" from end to end. 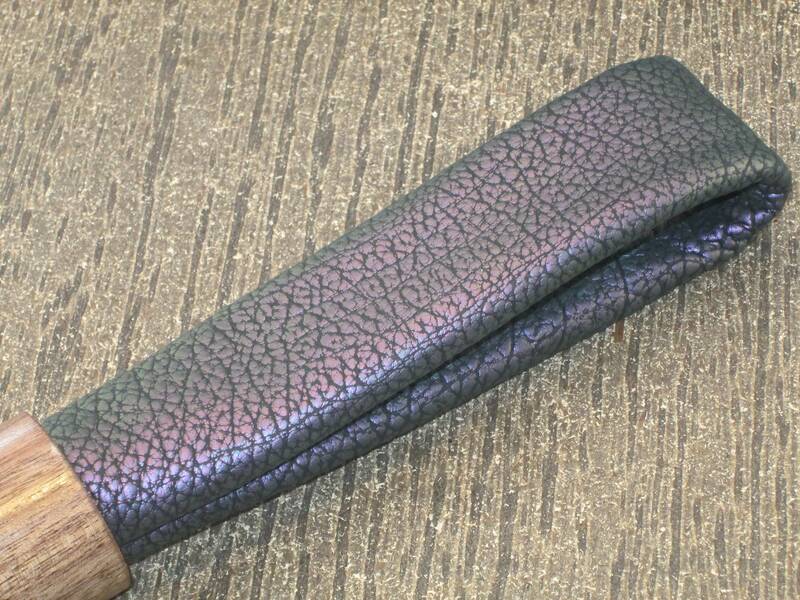 And this one is pebbled leather and the pattern is called Purple Reign. 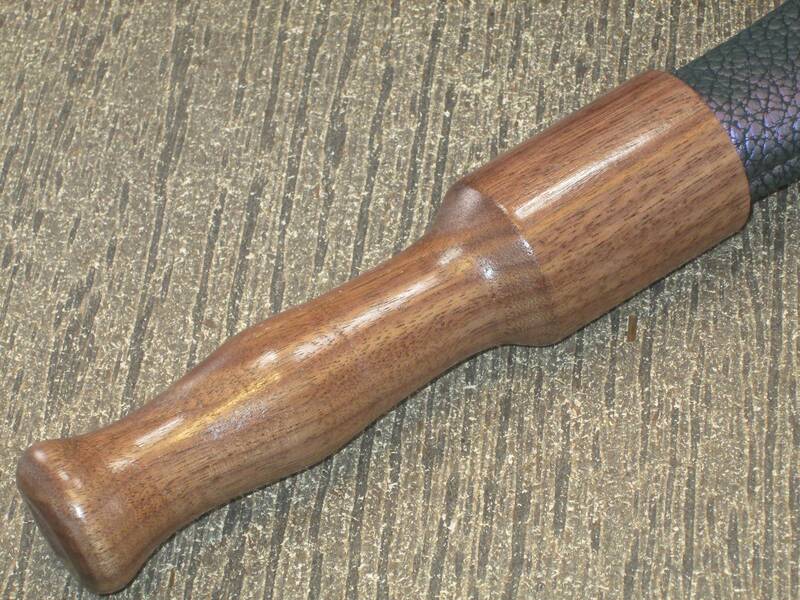 This also features a hand turned walnut handle. HOWEVER, as with all items from my store, please play safely. These items can cause serious injury if used improperly.